Green is a very special in the nail polish world. We are drawn to the color like moths to a flame. 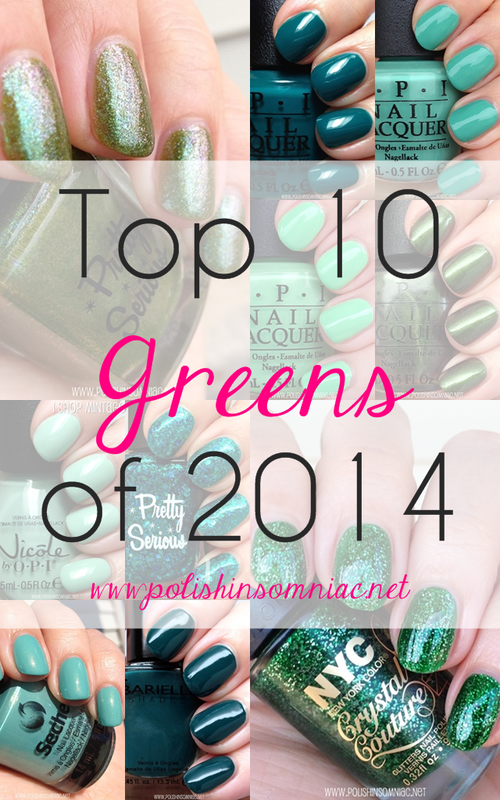 I hope you enjoy my Top 10 Green Nail Polishes of 2014! In alphabetical order, of course! Click on any of the pictures to read the original review. OPI You Are So Outta Lime! Want to see more Swatch SPAM? You can also check out Best Blues of 2014 and My Top 10 Glitters of 2014! What were your favorite green polishes from 2014?